Forty-four years ago, the last mining works in the Ojców National Park were carried out. 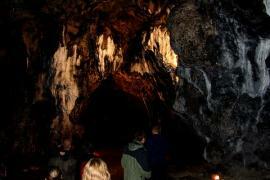 The corridor drilled by Olkusz miners and joining two chambers in the Łokietka Cave serves tourists until today. Created on January 14, 1956, Ojcowski National Park is associated primarily with impressive rocky outliers, deep valleys and a lot of Jurassic caves. 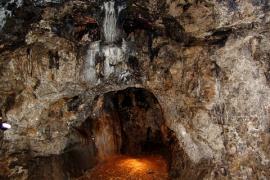 It is less often remembered that one of the oldest flint mines in Poland functions within its borders. It was mined in prehistory, in Neolithic in the middle and upper parts of the Sąspowska Valley. The flint there was transported to the area of ​​later Moravia, Hungary or Slovakia. In modern times, small opencast mines of limestone were created in the area of ​​the current OPN. It was obtained for construction purposes. Such kits have usually had little processing and they are not traced to them today. A slightly larger quarry has survived in the OPN enclave in Smardzowice. Already beyond the borders of the park, but just a few dozen meters from its border, the old quarry in Skala has been preserved. It is one of the most valuable places in terms of nature in the area of ​​Ojców. Botanists found the presence of valuable plant species there. There grows, for example, a rare orchid, a univalent specimen, which can be found only in individual places in Poland, eg in the area of ​​Pilsko, in the Pogórze Ciężkowicki or in the Tatras. Another rare rarity is the strictly protected fescue grass pale, considered to be vulnerable in Poland to extinction. Similarly extinction threatens a strictly protected cup-shaped chalice, which in the vicinity of OPN can be found only in that excavation. The quarry is also a place of existence for other protected plants, such as, among others Nine-stemless or Lycopodium broadleaf. 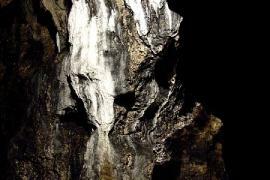 The underground world of the Ojcowski National Park was a tasty morsel for exploiters in the 19th century, but it was not a typical mining activity. 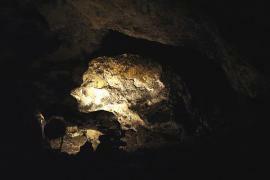 Caves were then extracted from the caves ... bat feces, which served as fertilizer. However, the so-called fossils were engaged in the extraction of calcite. 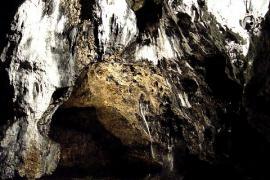 - After the creation of the Park, this type of activity was not carried out, only occasionally the theft elements of stalactites from caves, such as stalactites, stalagmites or thefts of the famous stoner from Ciemna Cave were stolen, said Jakub Baran, deputy director of the Ojcow National Park. The last mining accent so far took place 44 years ago, in October 1974, when a corridor connecting the two larger chambers - "Knight's Room" and "Bedroom" - was hollowed out in the Łokietka Cave. This corridor is about 8 meters long. - These activities were carried out by miners from the Pomorzany Mine near Olkusz, they were aimed at improving tourist traffic - adds Deputy Director Jakub Baran. Explosive materials were used to blast the tunnel using a compressor from Olkuski Przedsiębiorstwo Budowlanej. The bottom of the Knight's Room was placed in this cave. Here is a curiosity. For years, information was provided that these works were carried out by Przedsiębiorstwo Robót Górniczych from Bytom. In the chronicle kept in OPN, it was recorded that these works were performed by the miners Antoni Jaźwiński from Bukowno and Antoni Kaziród from Bydlin. Supervision was carried out by MSc. Jan Mędrek from Bydlin. 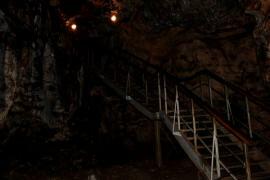 Łokietek's cave is one of two currently open caves in OPN. 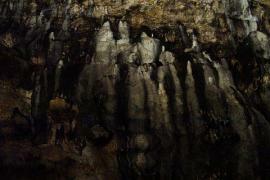 The other is the Ciemna Cave, which tourists visited before World War II, in autumn 1974 and since 1992. Łokietek's Cave, which was visited by 118 893 tourists in 2017, was observed, while in the Ciemna Cave, there were 31 504 people.